Opened on 4th November 2017!!! 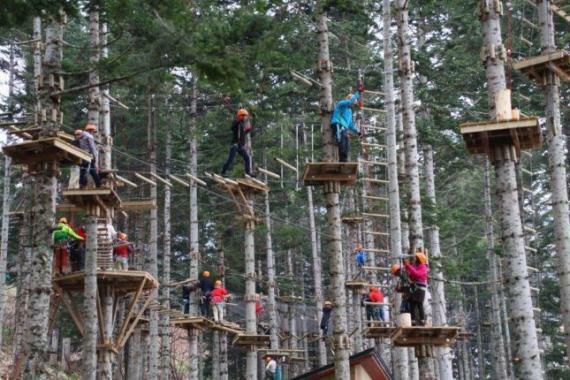 The Adventure Park is very excitable activity that moves from tree to tree on 3 ~ 13m height while challenging " the elements ". The area has 9265㎡ wide, 6 different difficulty, 115 elements, 120 people capacity as very big scale. 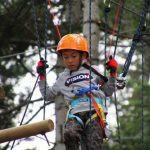 You can head to Mt.Yotei with a zipline, dive from high tree as active tree diving. You can fully enjoy Niseko natures. Any age are welcome as long as you are taller than our height limit. Children under 13 years old need a guardian ( One guardian for 2 children ). We recommend to wear waterproofs if it is raining . Please wear regular shoes or trainers (your whole foot must be covered, not sandals or high heel. *There is not a NAC Centre. 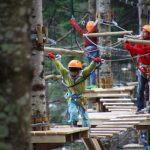 Or you can come to the adventure park directly by ski or snowboard. 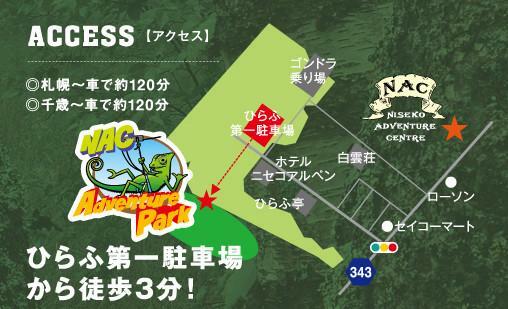 You can park a car at Hirafu Parking 1 and walk across to our Adventure Park (3 mins). The safety equipment is " Click it " ! is very easy to use and trustable which join directly to a harness. It cannot be off both when you move from a tree to tree. You can enjoy it without any worries. We will open if it’s a just raining however if we have a weather warning regarding thunder, high winds or torrential rain we will place the adventure park on hold and monitor the weather to see if it is possible to open . 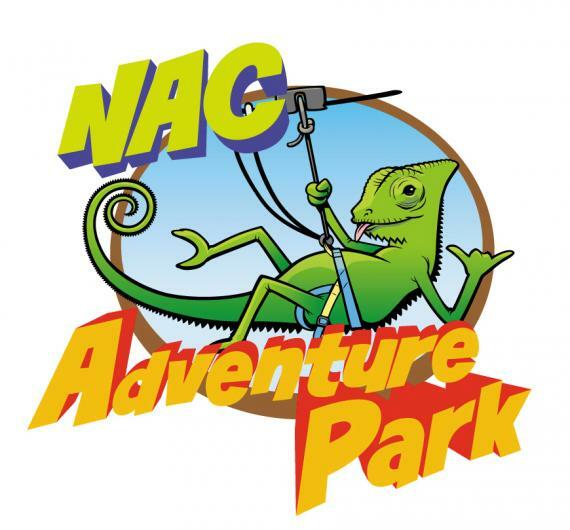 Huge Adventure Park that can enjoy with 115 of elements!